Taking into account the increase in crime and burglaries, the need for security guards and systems has become essential to safeguard businesses, commercial premises and our homes. However choosing the right type of security system is a difficult decision to make. The choice of security systems over security guards depends on the scenario and requires an understanding of why your business needs a security system. CCTV security or Video Surveillance Systems are one of the most cost-effective ways to provide security to a business or workplace. With the advanced technology of surveillance systems, businesses and assets can be monitored seamlessly and continuously to protect from all types of hazards and disasters. As CCTV cameras are relatively inexpensive and reliable, they are often preferred over physical security guards, or in some cases in addition to. CCTV surveillance systems are less expensive than other forms of security, while still providing around the clock surveillance. As your business premises is monitored 24/7 in real time and can be accessed from any location, it lowers the risk of costly incidents such as burglary, fire, vandalism, etc. Buildings and facilities are more likely to be targeted by criminal activity when there is no visible monitoring or surveillance. 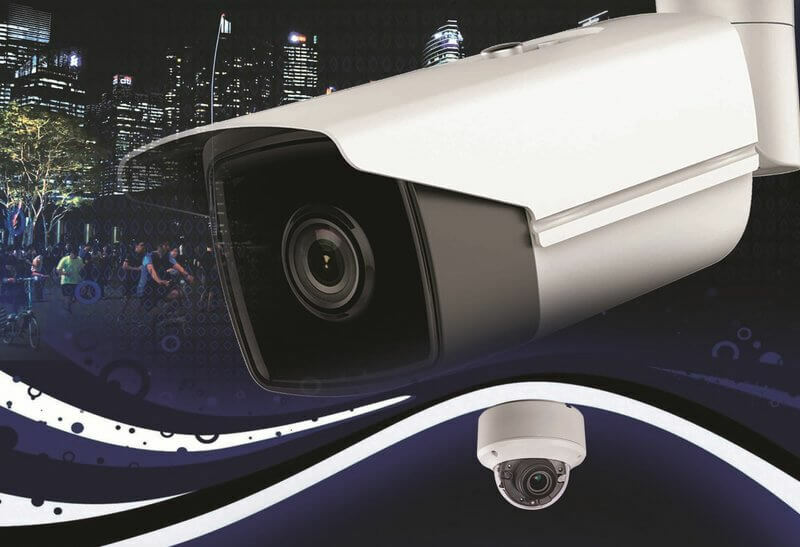 The installation of CCTV cameras discourages would-be criminals from illegal behaviour when their act is likely to be caught on camera, deterring potential activity from the outset. 100% coverage of your business or facility is available with well-designed CCTV infrastructure. With multiple cameras installed on the premises, blind spots can be exposed leaving no opportunity for so called “smart burglars”. This also allows monitoring of infrastructure at the most vulnerable areas of the property. When your business or infrastructure is monitored only by physical security guards, the chances of human error is conceded and moreover, no evidence is recorded. With CCTV cameras each and every single movement is recorded and documented. While trust plays an important role in any employer/ employee relationship, unfortunately there are instances where employees, who know the ins and outs of the infrastructure in which they work, are able to break in to locations where sensitive materials, goods and assets are stored. CCTV can prevent such instances both for employees and external contractors. Apart from surveillance, CCTV cameras also help in developing and creating discipline among employees and customers alike. As employees are aware that they are monitored, it can encourage them to ensure they keep their interactions with both colleagues and customers to a professional level. This also ensures employees feel safe and protected. With CCTV cameras installed in high-risk areas of a business facility or establishment, the safety of valuable goods and assets can be assured. This is not just limited to goods and assets alone but also to the safety of employees where personnel work in potentially risky areas. With the right cameras installed, businesses can prevent potential accidents and damage because with careful monitoring emergency measures can be taken immediately should a fault be detected or an incident occur. As mentioned earlier, CCTV cameras document every movement and these recordings can help law enforcement agencies identify criminal offenders or use the footage to release photos and videos of the culprits to the public. This will help the public to identify the criminals. Depending on your premises and security needs, the use of CCTV can be as effective and important as having physical security guards to protect your business and assets. Southern Cross Group caters to our clients’ needs with one or both solutions, ensuring they have the surveillance and protection they require. Thank you so much for giving most useful informations about CCTV surveillance cameras. To secure our house, workplace, properties, security camera play a very important role. Thanks for this blog. CCTV surveillance is indeed less costly than physical guard but when it comes to securing the business, a security guard should be present there 24/7 along with surveillance to avoid any kind of mishap from happening. It’s right CCTV cameras help in keeping an eye on employee behaviour that makes the employee adopt good behaviour at work. Some criminal activities being demotivated due to CCTV’s presence. It is the need of our life now. We should use CCTV in the business, home for the security of our family or place where we work.